The Honeywell A5 portable air purifier is on sale with a Rs 1,050 cashback. There is also the Google Pixel 2 XL, which can be purchased for Rs 46,845, after a flat cashback of Rs 10,000. Paytm Mall has a wide range of air purifiers and we have found some good deals on a few of them. There is also a considerable cashback offer on some smartphones as well. The Philips table-top air purifier features four colour air quality indicator and has a rated Clean air delivery rate (CADR) of 333 m3/hour and covers room size of up to 851 square feet. It comes with a HEPA filter and is said to filter out PM 2.5 particles of up to 0.99. The Honeywell Air Touch I8 Air Purifier comes with a HEPA air filter, is portable and is said to cover a 387 sq ft area. The Sharp compact Air Purifier touts a coverage area of 70-250 square feet and is also portable. It also features a HEPA filter and claims of delivering 19000 hours of usage with runtime of 8 hours a day. There is also a washable PM10 filter to filter out dust. 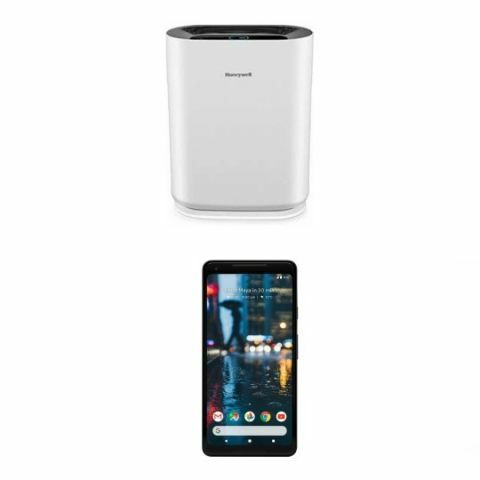 The portable Honeywell air purifier is made of ABS plastic for durability and comes with a HEPA filter, along with a layer of activated carbon. It has an LED display and comes with a filter change indicator as well. The smartphone comes with a 4GB RAM and comes with 64GB internal storage. It is powered by the Qualcomm Snapdragon 835 SoC and features a 6-inch pOLED display with an 18:9 display aspect ratio. The Honor 9 Lite is powered by the Kirin 659 Processor with 3GB RAM and 32GB internal storage. It features a 5.65-inch full HD+ display and is equipped with a 13MP + 2MP dual and front rear cameras. The smartphone runs on the MediaTek MTK6737 1.3GHz Processor with 3GB RAM and 32GB of internal storage. It features a 5.5-inch HD display and comes with a 13MP rear sensor and a 5MP front-facing camera. What should the high and low pressures be for 404A refrigerant on a air drier? Best smartphones under 7000 rupees?